ABI Research has raised its estimate for NFC handsets shipped in 2012 from 80m to 102m units. The analyst firm also expects 285m NFC-enabled devices to be shipped in 2013, with the number in circulation reaching 1.95bn by 2017. The 2017 projection includes both mobile phones and other consumer electronic devices equipped with NFC. 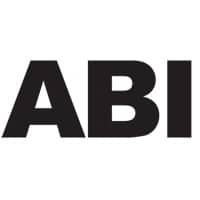 Handsets will account for the majority — more than 1.5bn — of units shipped, says ABI, with the balance to be mostly composed of tablets, PC accessories and games consoles.